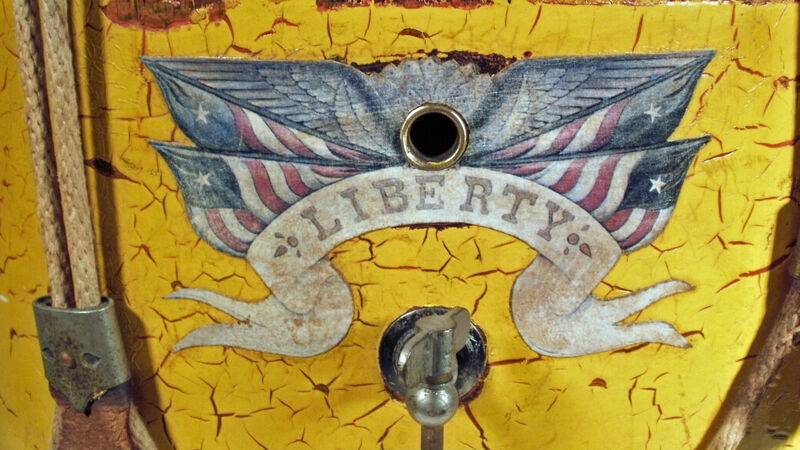 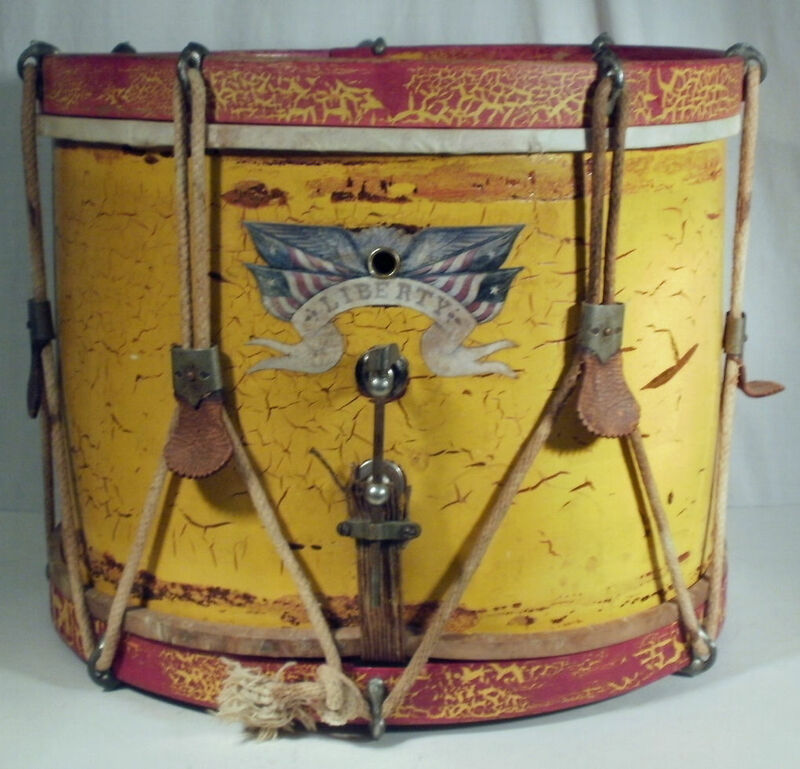 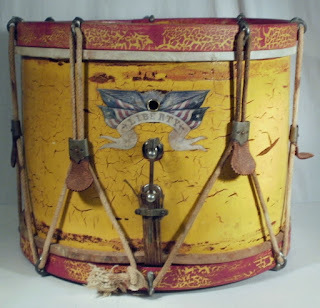 Yellow & Red Liberty Snare Marching Drum Unknown Vintage Military? 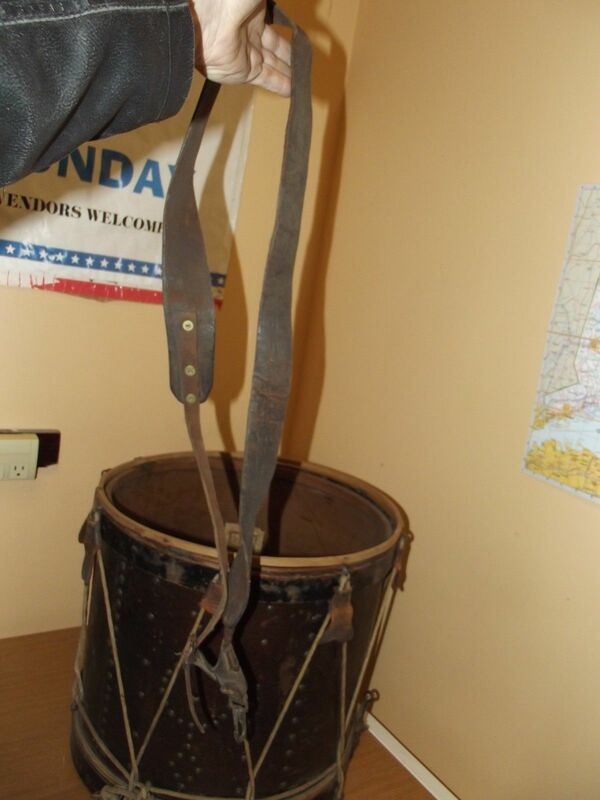 This came out of a military collection, but we're not 100% sure it's military issued. 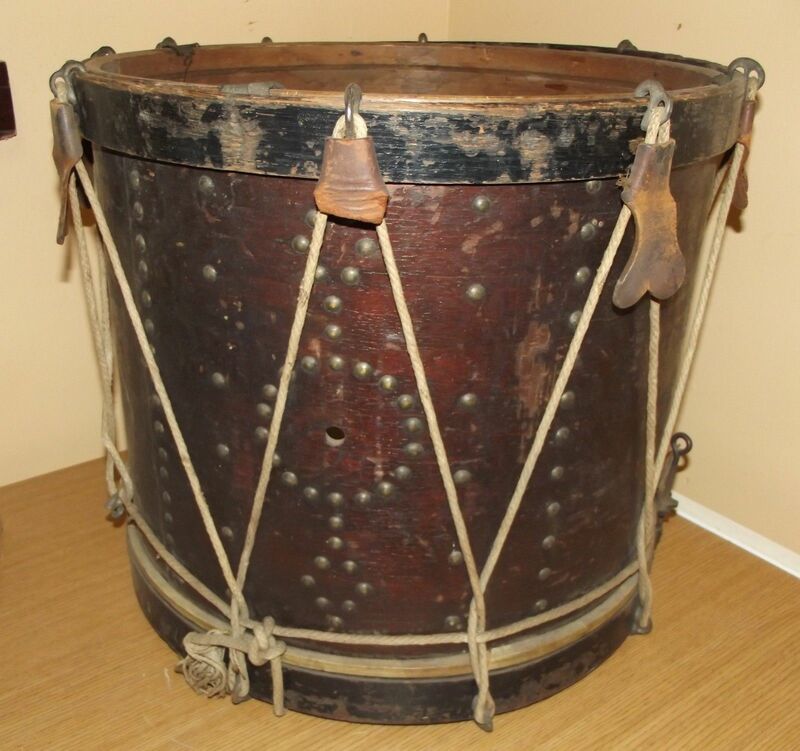 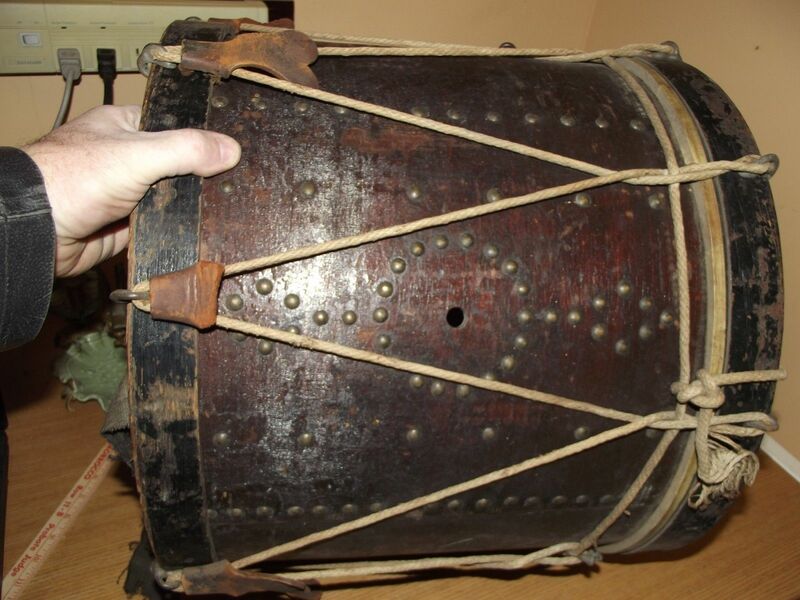 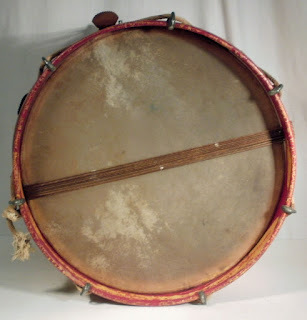 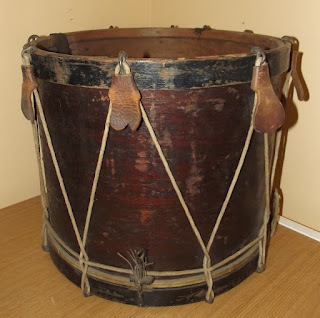 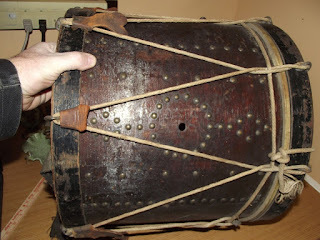 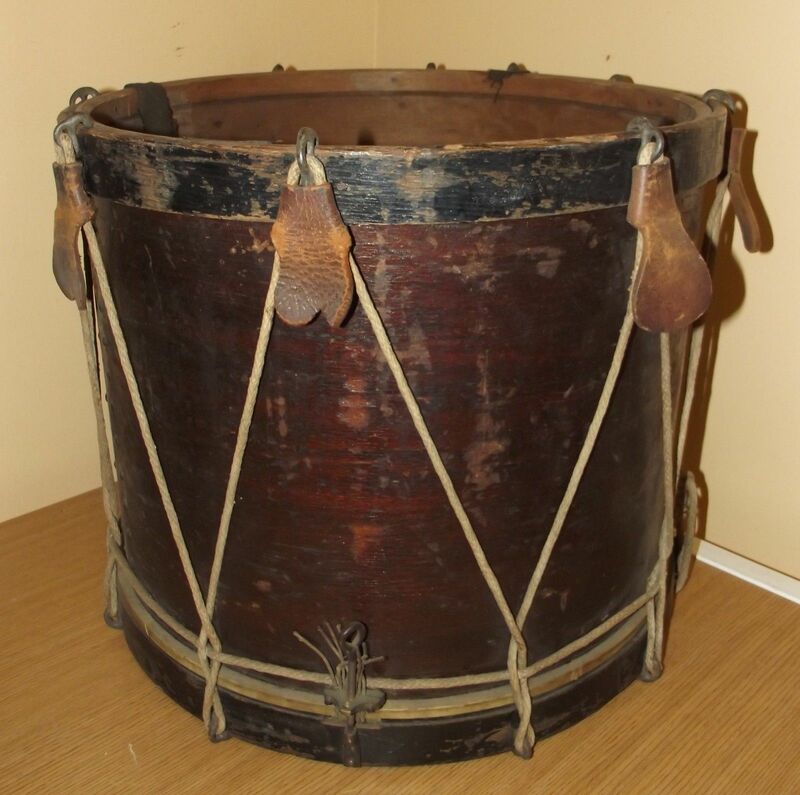 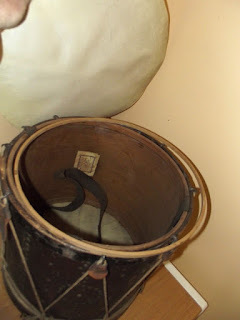 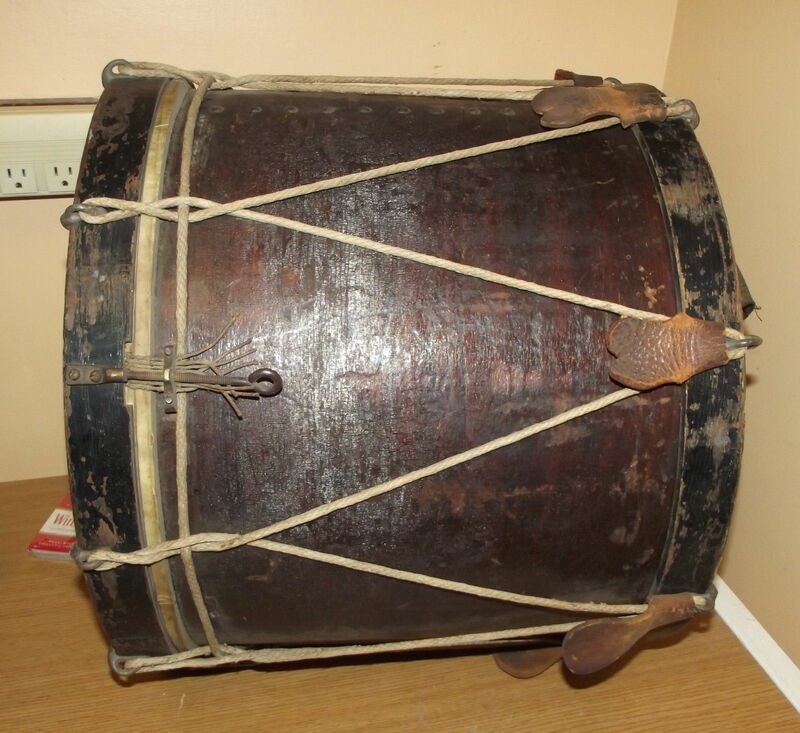 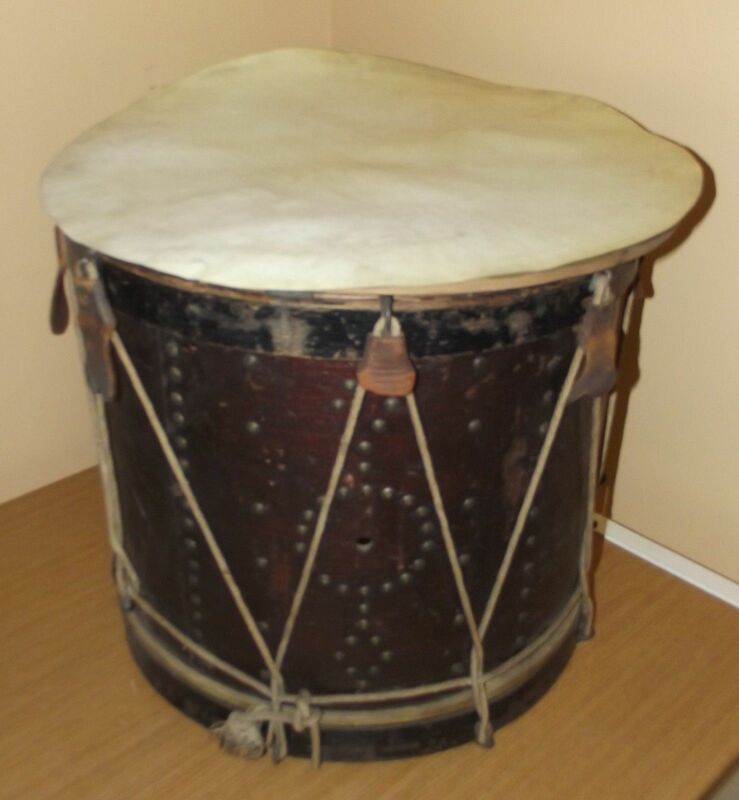 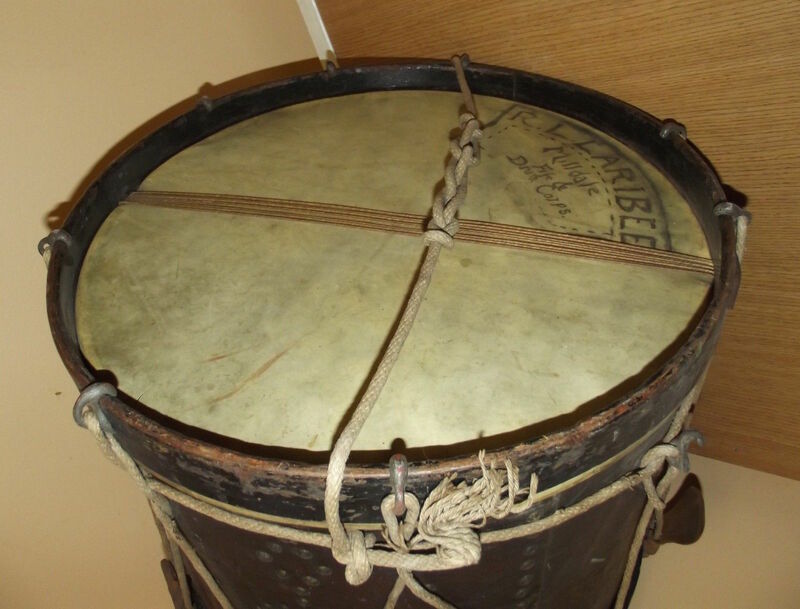 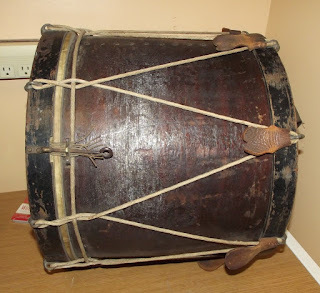 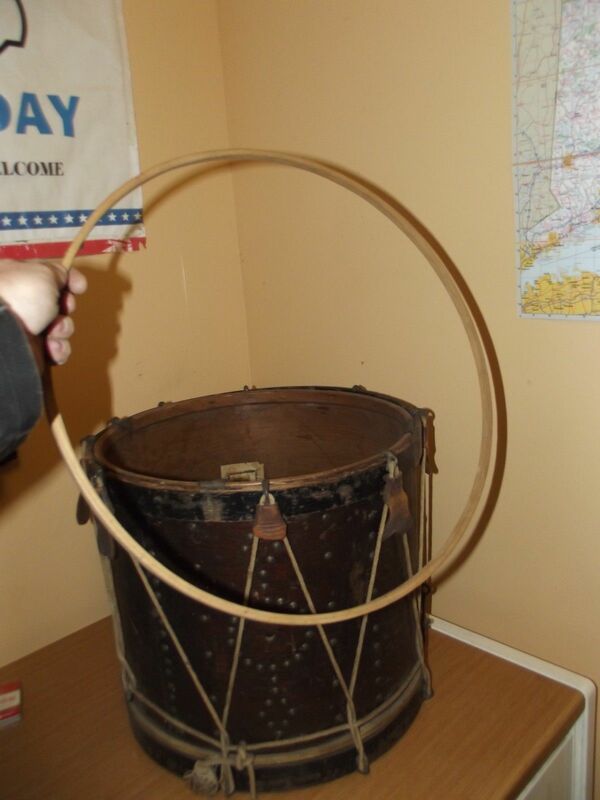 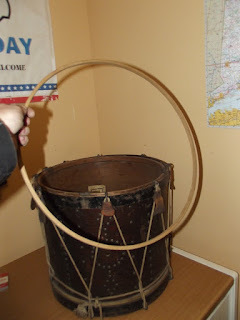 This is an old drum. We're not sure how old it is, but our research indicates it may be manufactured by the liberty musical instrument company circa 1926. Top rim is half off of the drum. It might have been reskinned at one time. 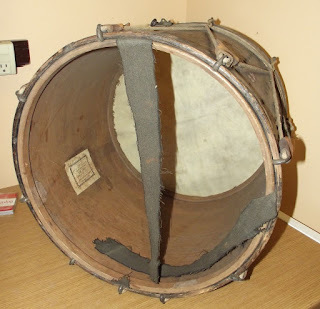 should be able to be re-set. 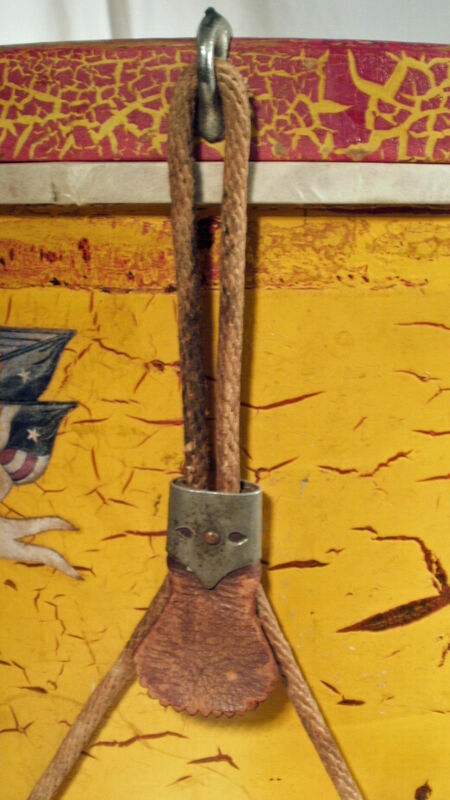 Ropes are unknown age. 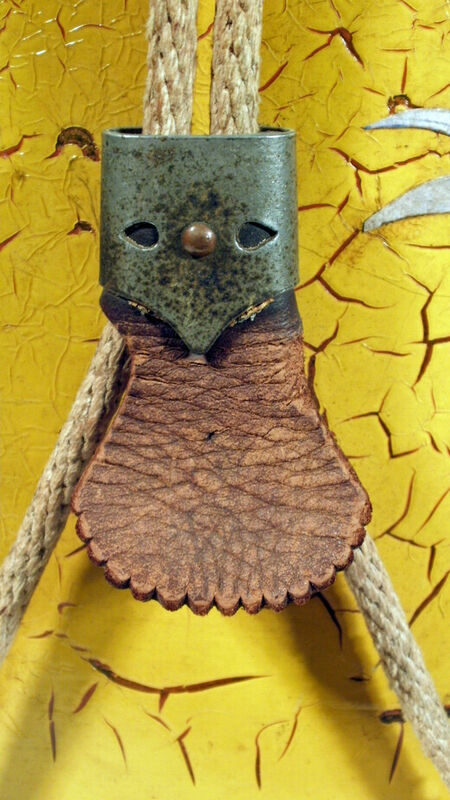 Might be original, but we're not sure. Leather pieces look original. Paint shows its age with cracking and chipping But appears original. 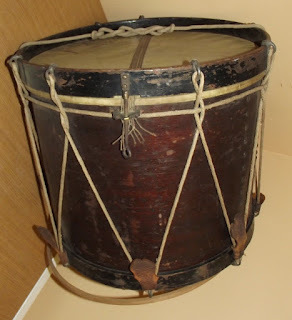 Bottom skin and snares look and feel original. 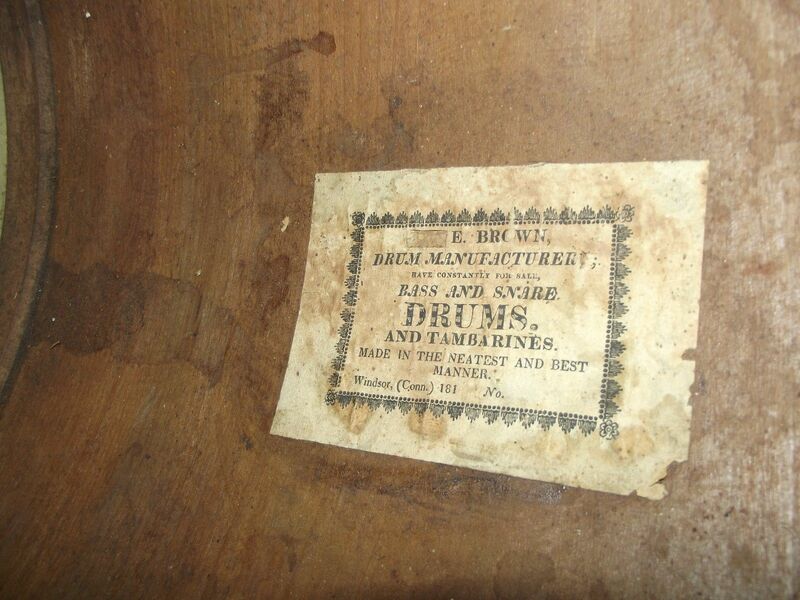 Drum measures approx. 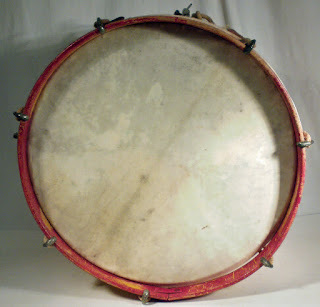 15'' across by 12'' tall.